Requirements All you really need is a PSR (I have a 225, don't know what others it will work on) and a way to connect it to your computer. The program works under Windows 95/98. Your computer's display must be set to 800x600 resolution to use it. 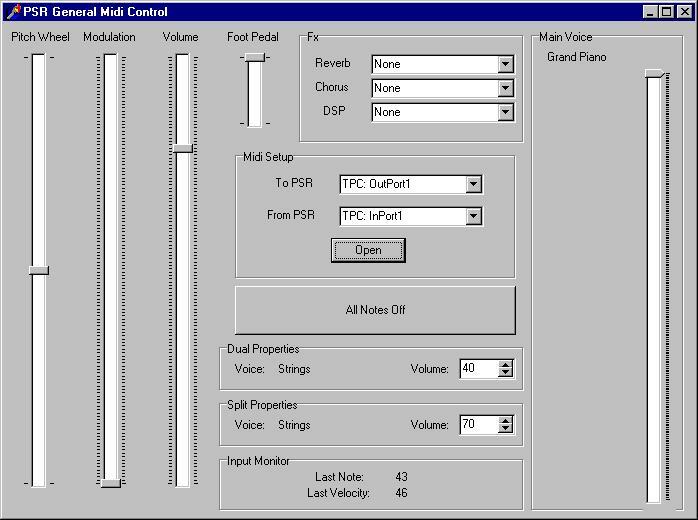 Download PSR control is freeware. Distribute it however you want. Just don't sell it, and don't put your name on it. The program is zipped and Winzip is required to unzip it. Click here to download winzip.